Every Wednesday night at 6pm, registration begins at 5:15, this week is Singles! Cost is $15.00 per person for a bag tag (One Time Fee for year) and $1.00 every week for the course, and $1.00 for optional ace race. There will be a players meeting at 6pm and then a shotgun start soon to follow. First league night of 2018 is Wednesday May 9!! Our second year, the first brought some of the best play and finishes of the year and 2018 promises to be even bigger and better! NEW INFO FOR SSC 2018!! Dates are listed below! Make sure to follow us on Instagram @SouthShoreDiscGolf for tournament updates, live scoring, and live coverage of our upcoming tournaments. Also, check us out on facebook at South Shore Disc Golf. As always, show support through #SouthShoreDiscGolf and lets #GrowTheSport! Devised in the winter of 2016, South Shore Disc Golf already has a rich history of success behind creator Mark Ewell. However, after installing his first course in 2015, Mark realized there was still more work to be done. There were tournmanets to be hosted, and more courses to install. Thus, 100% of all proceeds earned go either directly to chairities, or right back into course developement and installation with no staff members being paid at all. This is the foundation that South Shore Disc Golf was built on, and this is the foundation that will carry the sport forward. 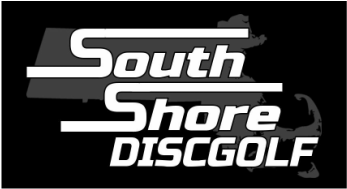 With such tournaments as The Hartsuff Park Open, and South Shore Cup Tournament Series, South Shore Disc Golf certainly has a bright future.